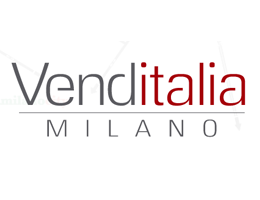 Venditalia 2020 will be held from May 20, 2020 to May 23, 2020, in Milan - Italy. 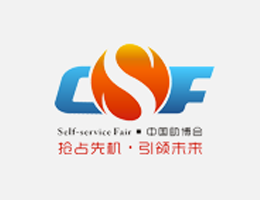 China VMF 2020 will be held from March 4, 2020 to March 6, 2020, in Guangzhou - China. 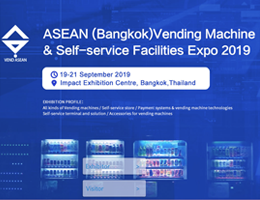 ASEAN (Bangkok) Vending Machine & Self-service Facilities Expo 2019 will be held from September 19, 2019 to September 21, 2019, in Bangkok - Thailand. 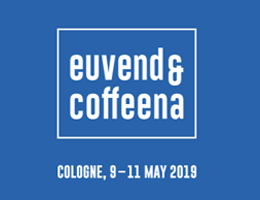 Eu’Vend & Coffeena 2019 will be held from May 9, 2019 to May 11, 2019, in Cologne - Germany. 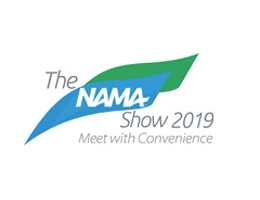 NAMA Show 2019 will be held from April 24, 2019 to April 26, 2019, in Las Vegas, Nevada - US.